Whether discovering our newest Vineyard to Table culinary endeavors or scrolling through testimonials from our guests and reviewers, you can find all you need to know here. The menu mixes classic and current. The service is polished, highly trained. Dessert is always sweet - There are inventions both thoughtful and playful. They have an encyclopedic knowledge of the (wine)list and a knack for interesting pairings. What makes it a true standout is the dining at the Meritage restaurant, run by award-winning chef Daniel Bruce. And, if it was good before, it’s even better now, with a sleek, contemporary renovation, expanded bar area, and brand new wine-centric menus. The Meritage Restaurant and Wine Bar is a restaurant worth finding (no mean feat) and enjoying whether or not you stay at the wonderful Boston Harbor Hotel. The service is excellent, the menu-creative, the food is superior and the view is one of the best in town. Meritage recently re-opened with a new menu. From seared five spice tuna to cardamom and cinnamon rubbed filet mignon, the offerings are creative and spectacularly successful. As always, the wines and wine knowledge are impressive. This is a world class restaurant in food and service. Meritage: The Ultimate Wine Lover’s Restaurant. Chef Daniel Bruce is an undersung local hero, turning out vino-enhanced dishes on a menu organized around wine. A brilliant notion if ever there was one. 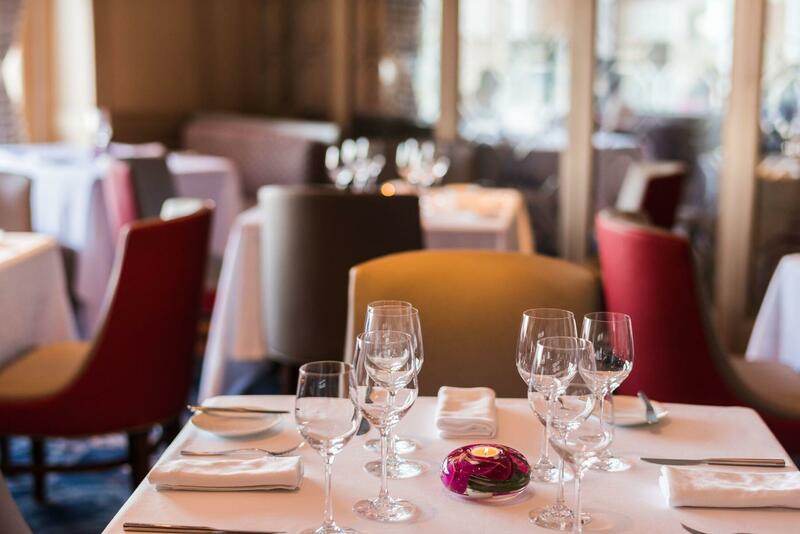 Set inside the stately Boston Harbor Hotel, Meritage stays focused with its astounding wine list. Chef Daniel Bruce creates scintillating menus to match the cellar's treasures. With the stunning Rowes Wharf as its backdrop, Meritage has, perhaps, the city's finest waterfront view. Chef Bruce is known from coast to coast, and it has nothing to do with the expansive views of the water from his two fine-dining spots at the Boston Harbor Hotel. At Meritage . . . Chef Bruce awed us with his ingenuity with wine-food pairings and culinary razzle-dazzle . . . From the amuses-bouches to the divine desserts, this superb restaurant . . . with an exquisite and rare view of Boston Harbor . . . won't disappoint. Bruce knows his wines, and few chefs can match his extraordinary skill with food and wine pairings. Meritage boasts the most focused food and wine menu in Boston. [Meritage is] a restaurant with floor-to-ceiling displays of wine and exceptional food. Enjoy an unforgettable culinary experience, expertly paired with the perfect wine.